Contemporary architecture is not everyone's cup of tea. 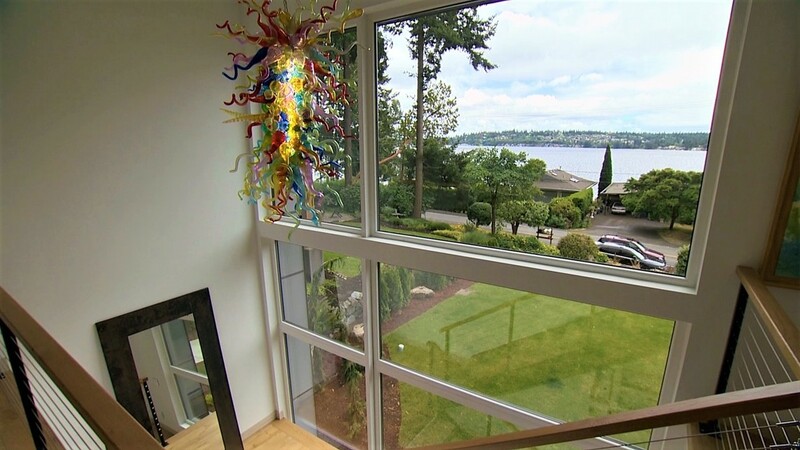 But this home for sale in Kirkland may have you changing your taste. Sponsored by Floor and Decor. Some contemporary homes can leave you cold. 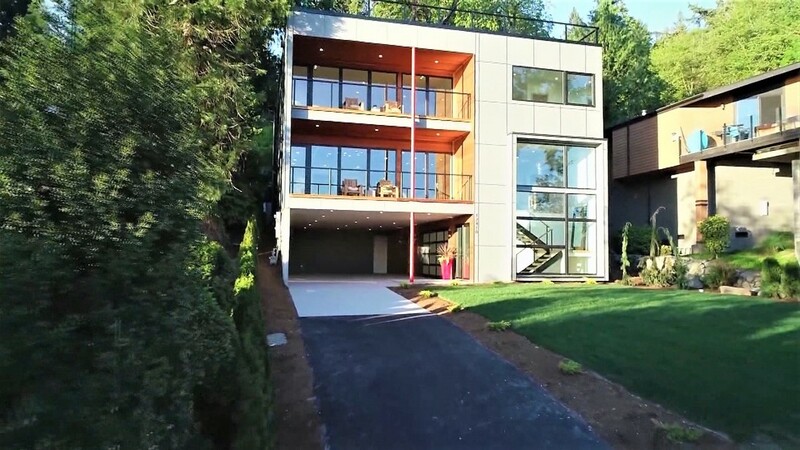 But this modern master for sale in Kirkland’s Holmes Point neighborhood warms you right up. "When you walk into the home you really get this sense of transitional feel and design," said Robert Gershberg of Homes & Equity Real Estate Group. “The white oak flooring, the staircase, the gas fireplace. It gives the home a little more warmth, and I feel like it gives the home the perfect blend for the Northwest." Normally ceilings don’t draw your eye. But the one in the great room demands your attention. "You have this European stretch ceiling which is unlike anything we see here in the Northwest," he said. "It is a blend of silk and poly-vinyl that's stretched over the ceiling. It just makes all the LED lighting pop." Across the room, the modern style continues in the kitchen. "The kitchen is pretty special," Gershberg said. "It has a very minimalist style. It has imported German cabinetry. We have a full Miele appliance suite. A built-in china cabinet which is pretty rare and unique to tie into an ultra-modern home." Contemporary homes can sometimes leave you cold, but this Kirkland home for sale will warm you right up. 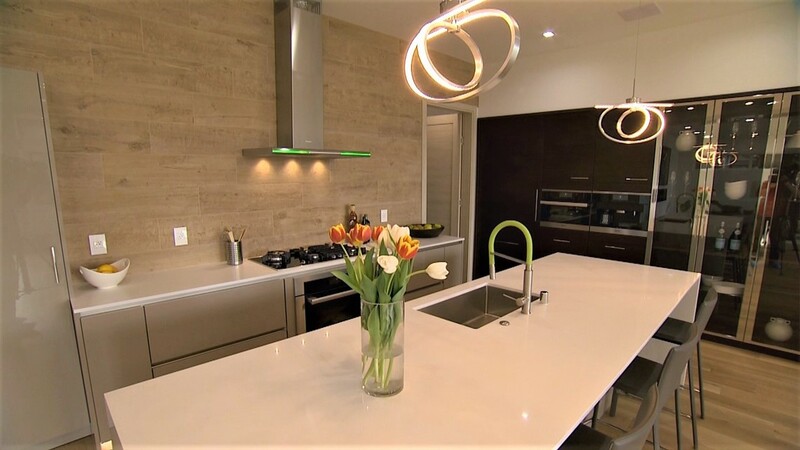 "When you walk into the home you really get this sense of transitional feel and design," said Robert Gershberg from Homes &amp; Equity Real Estate Group. 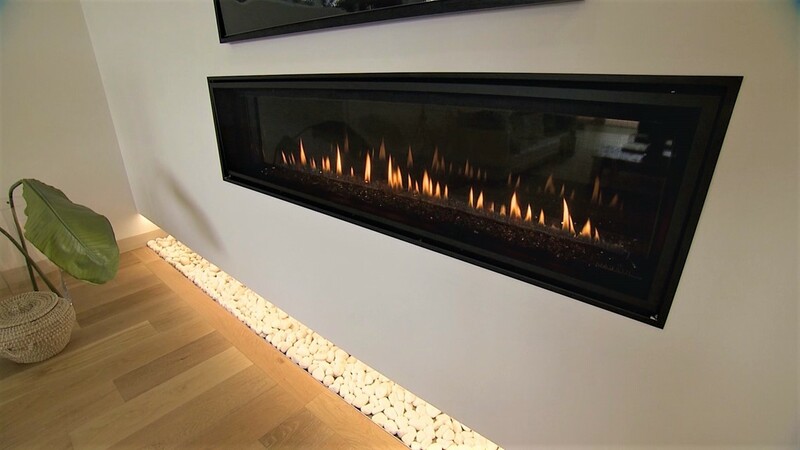 This gas fireplace leaves you anything but cold. 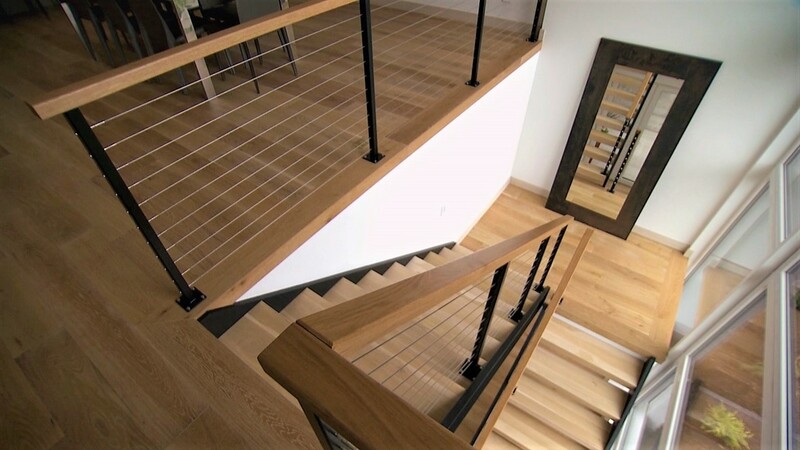 Between the modern staircase and white oak flooring, does it get much better? "The chandeliers were actually created on site by our designer. It gives the home a little more warmth and gives the perfect blend of the northwest," said Gershberg. The kitchen keeps a clean and minimalist style. 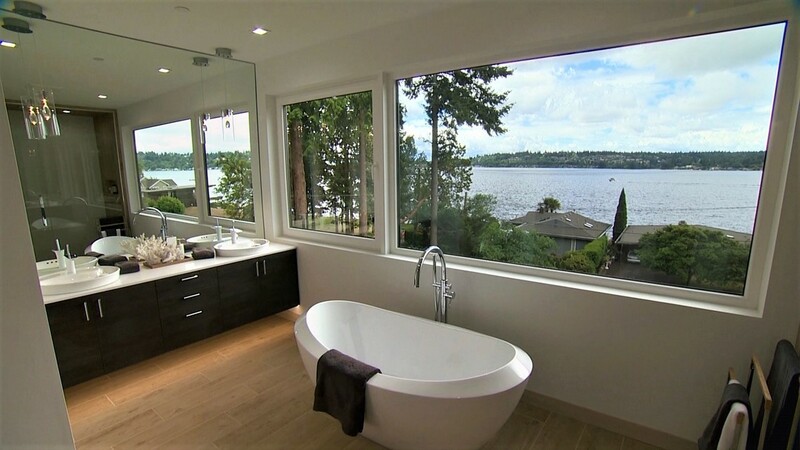 "The master bathroom is truly a spa like experience. The floors are heated and there's tiled accent walls," said Gershberg. We saved the best for last... 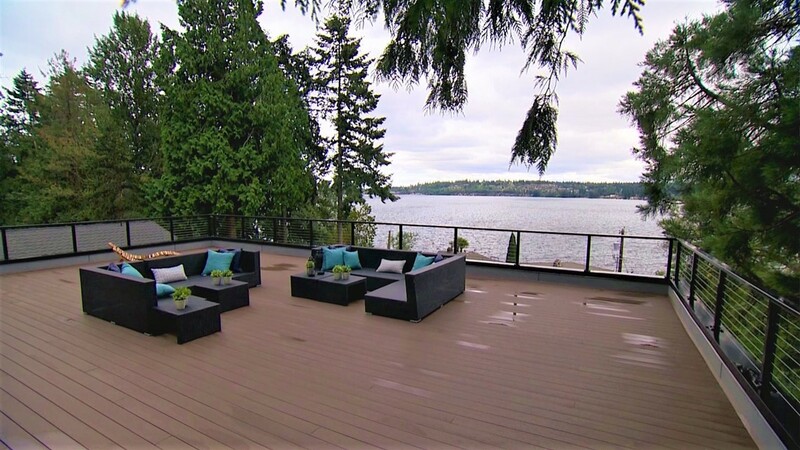 It's a roof top deck with a huge 1600 square foot patio and unobstructed views of the lake. So while contemporary may not be everyone's cup of tea, this home may have you changing your taste. Upstairs you'll find three of the home's four bedrooms, including the magnificent master. "The master is huge," he said. "You walk in there, you feel like you're in a whole different living space. We have wall to ceiling windows. We have a great sitting area and oversized closet for all your stuff. The master bathroom is truly a spa-like experience. The floors are heated. There are tiled accent walls." But as big as the master is, what's on top of it is even bigger. "The cream of the crop, if you will, is the rooftop deck which is a huge – 1,600 square-foot with unobstructed views of the lake," Gershberg said. "The views are just absolutely out of this world." So while contemporary may not be everyone's cup of tea, this home may have you changing your taste. "The future lucky owners will never look for another venue again," Gershberg said. This home is listed at $3.1 million. This story brought to you by Floor & Decor, open now in Tukwila. Evening is your guide to Seattle and the Pacific Northwest. Watch it weeknights at 7:30 on KING-TV Ch. 5 or streaming live on KING5.com. Connect with Evening via Facebook, Twitter, Instagram or Email.